The Junior League of San Jose has received over 50 recognitions and awards from organizations including American Cancer Society, Big Brothers Big Sisters of Santa Clara County, Children’s Discovery Museum City of San Jose, County of Santa Clara – Board of Supervisors, East Side Union High School District, Girl Scouts of Santa Clara County, Grail Family Services, InnVision, Second Harvest Food Bank, The Service League-San Jose Hospital, Salvation Army, and Volunteer Bureau of Santa Clara County. 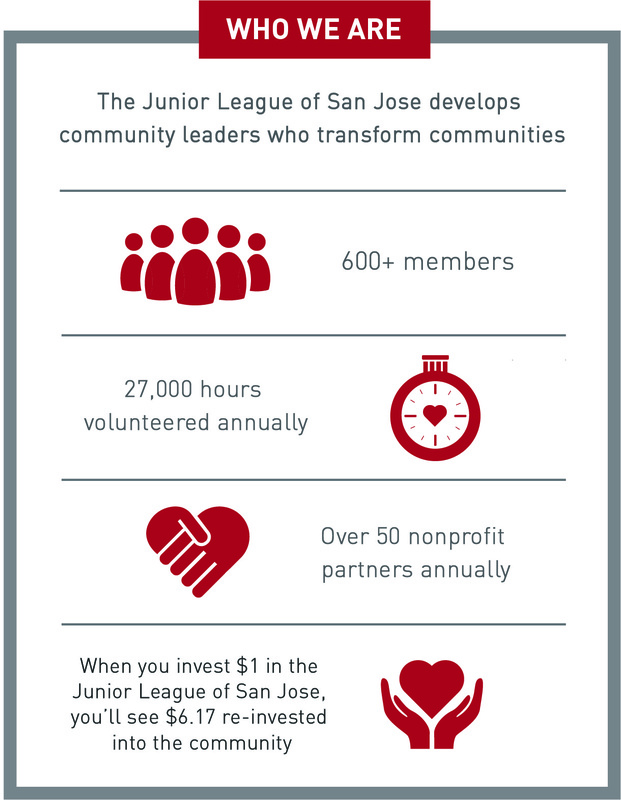 In addition, JLSJ has received recognition of the positive impact we are making in Santa Clara County from the White House (President Bill Clinton), Governor Arnold Schwarzenegger, California Senator Elaine Alquist, and United States Senator Diane Feinstein. 2008 – Fund Development Honorable Mention – Junior Leagues International Inc.